Red Bank Flavour will tempt foodies to flirt with their senses this holiday season at the third-annual Holiday Flavour event. 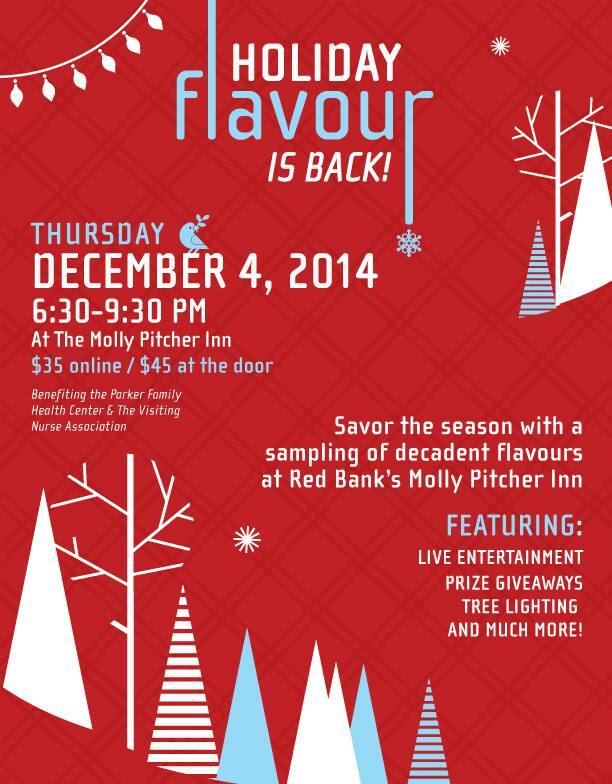 Slated for December 4, 2014 at The Molly Pitcher Inn, Holiday Flavour will feature more than twenty of the town’s most-popular restaurants and eateries at an exquisite culinary affair. A portion of the proceeds will benefit the Parker Family Health Center. Red Bank Flavour, a grassroots culinary campaign driven by the borough’s top chefs, restaurateurs and proprietors, will tempt foodies to flirt with their senses this holiday season at the third-annual Holiday Flavour event. Slated for December 4, 2014 at The Molly Pitcher Inn, Holiday Flavour will feature more than twenty of the town’s most-popular restaurants and eateries at an exquisite culinary affair. A portion of the proceeds will benefit the Parker Family Health Center, a health care facility where Monmouth County residents who do not have medical insurance or ability to pay for medical care can be treated. 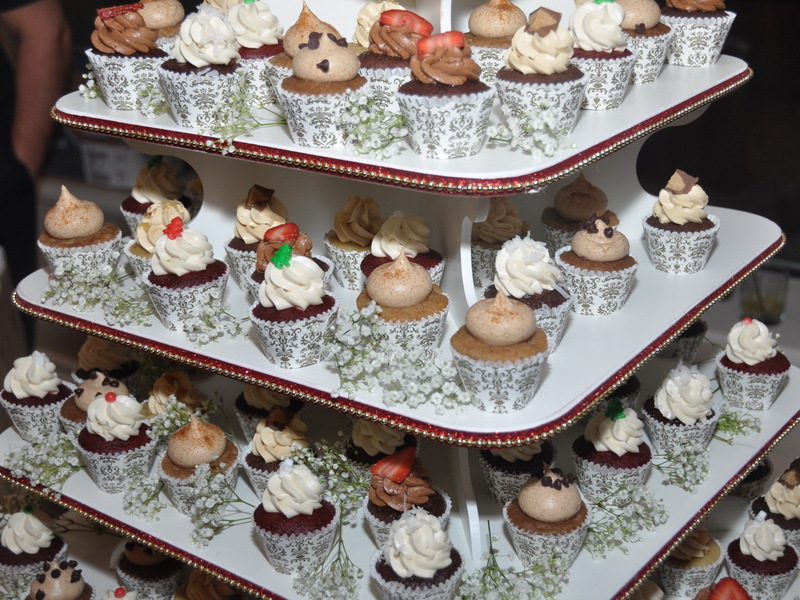 Read our review of last year’s outstanding Holiday Flavour event. Hosted in The Molly Pitcher Inn’s beautiful ballrooms overlooking the Navesink River, Holiday Flavour will invite guests to sip and sample a palatable array of libations and cuisine. In addition to the tasting, the charitable evening will include live music, tree lighting and a fabulous winter wonderland outside on the hotel’s beautiful, waterfront promenade. Libations from Ketel One, Johnny Walker, Baileys, Rook, and Santa’s grab bag featuring donations from Red Bank retailers. “Over the last three years Holiday Flavour has grown in popularity while continuing to support local community organizations. We are very excited to once again partner with The Parker Family Heath Center at Holiday Flavour. As a proud member of Red Bank’s restaurant industry, we all are very excited to host an event that will support this incredible organization which has a profound impact on the local community,” commented Valerie Aufiero of Red Bank’s Front Street Trattoria. Launched in 2000, the Parker Family Health Center began its journey in an empty Shrewsbury parking lot with three patients and a donated trailer. Today, through the efforts of countless volunteers and donations, the Parker Family Health Center provides services to more than 8,600 community members in a state of the art facility, at little to no cost. A Holiday Flavour event beneficiary for the second year in a row, Red Bank restaurants are proud to support the time and efforts of this incredible organization. Holiday Flavour will take place from 6:30 to 9:30 p.m. on Thursday, December 4. Tickets for the event are $35.00 in advance and $45.00 at the door. For more information, or to purchase tickets, please visit www.RedBankFlavour.com.